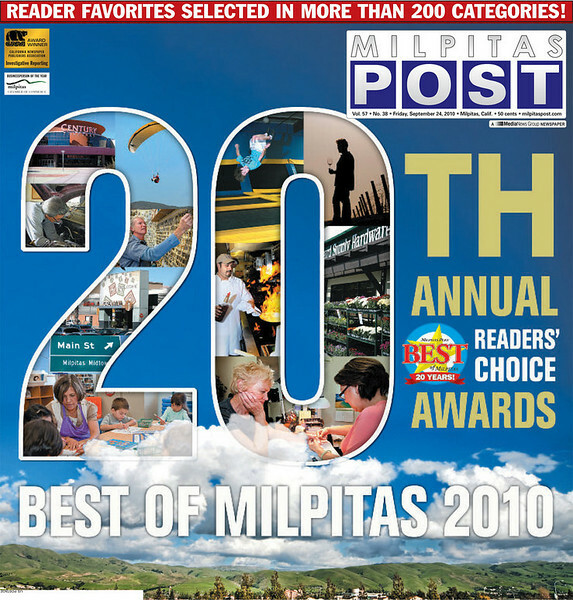 It’s that time of year again when the Milpitas Post puts out its reader’s choice Best of 2010 issue and I had the extreme honor and pleasure to get to work on it again. You can read the entire issue here and see over 20 of my photos that contributed to a great collaborative work. In fact, five of shots of mine are on the cover shown above including the background landscape shot. This entry was posted on Sunday, September 26th, 2010 at 11:12 pm	and is filed under Blog, News and tagged with commercial, editorial, milpitas, milpitas post, newspaper. You can follow any responses to this entry through the RSS 2.0 feed.